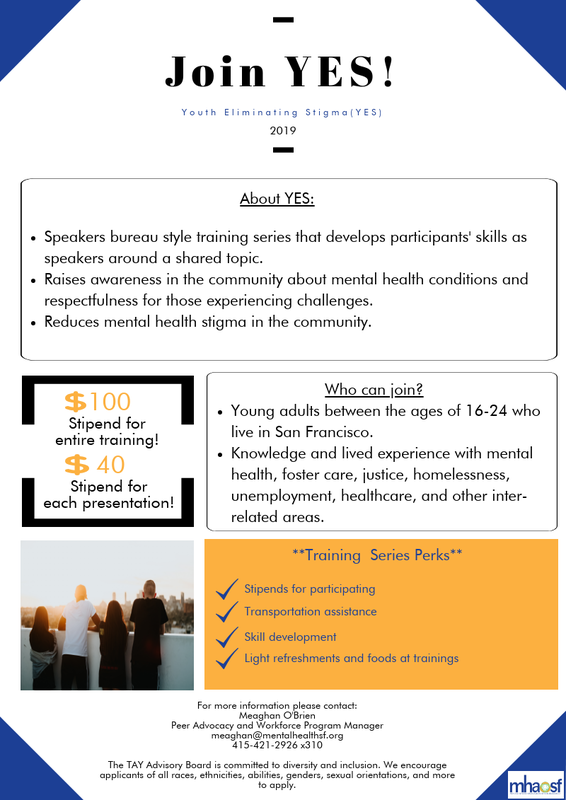 YES is a speakers bureau style training series that develops participants' skills as mental health speakers. YES participants raise awareness about mental health conditions and the need to respect those experiencing challenges. This work seeks to reduce mental health stigma in the community. YES is committed to diversity and inclusion. We encourage applicants of all races, ethnicities, abilities, genders, sexual orientations, and more to apply. YES is a collaborative project with the San Francisco Department of Public Health. This program is funded by the TAY System of Care (SOC) grant where Behavioral Health Services (BHS) help to support, provide, and coordinate culturally developmentally responsive behavioral health services. Contact Meaghan O'Brien today at meaghan@mentalhealthsf.org for a stigma elimination presentation focusing on youth. 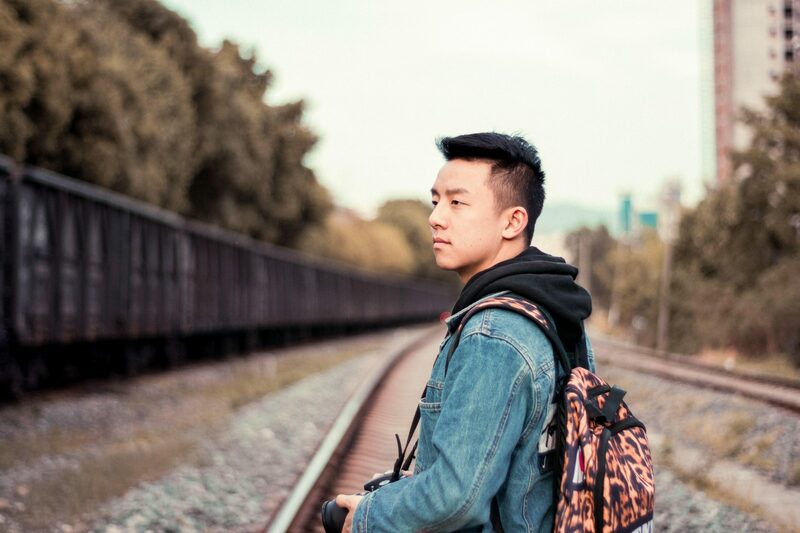 -Young adults between the ages of 16-24 who live in San Francisco. 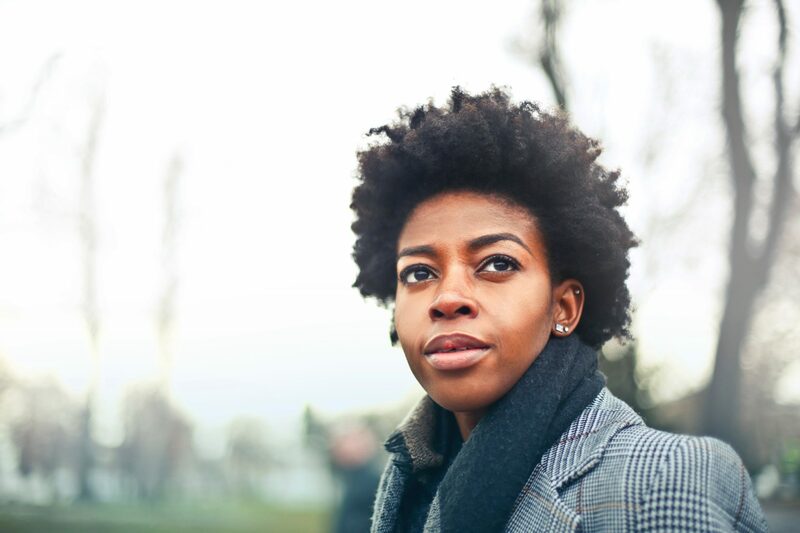 -Young adults with knowledge and lived experience with mental health, foster care, justice, homelessness, unemployment, healthcare, and other inter-related areas. -Trainings are free! Space is limited, so contact us soon if interested! For more information, contact Meaghan O'Brien at [email protected] or 415-421-2926 ext. 310.